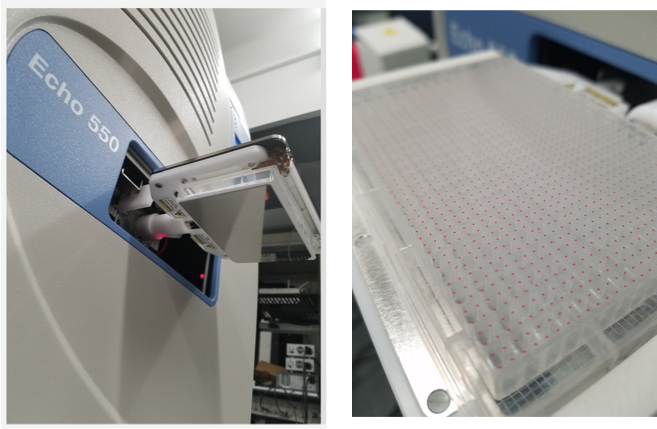 We are grateful to DARPA and Brown University for funding the purchase of the following cutting-edge Molecular Informatics equipment, which bring precision and speed to our experiments. 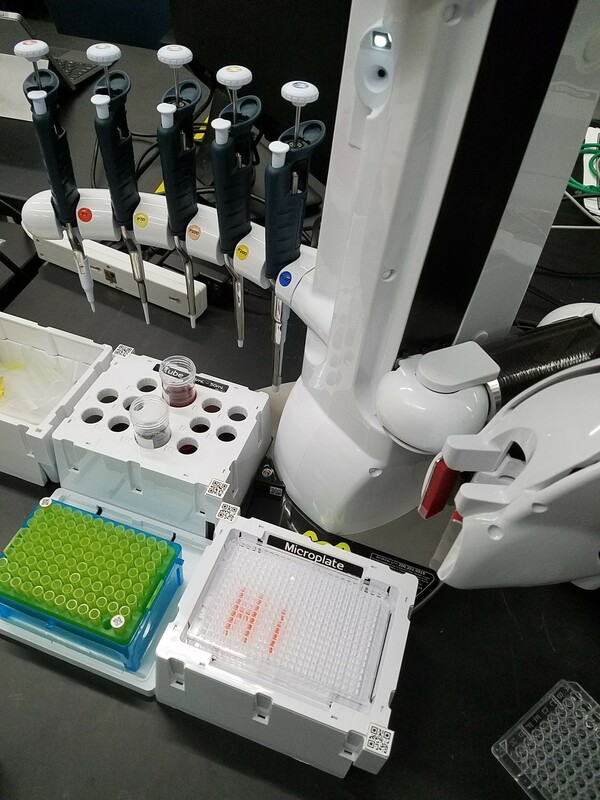 The Andrew robot is a vision-assisted companion robot capable of manipulating standard single-channel adjustable volume pipettes, completely unattended. 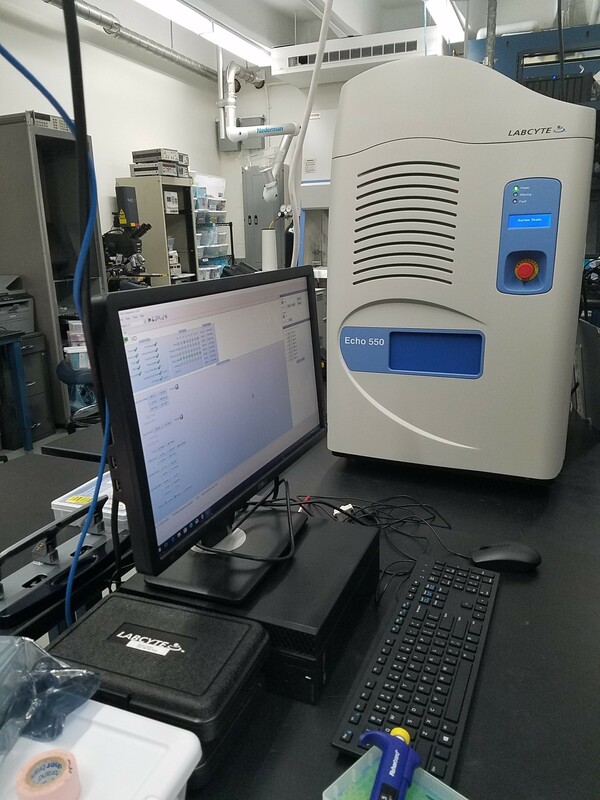 Andrew can be programmed to transfer thousands of .2-1000 microliter volumes per day, automating and accelerating our sample preparation process. Molecular message pipetted by our Andrew. 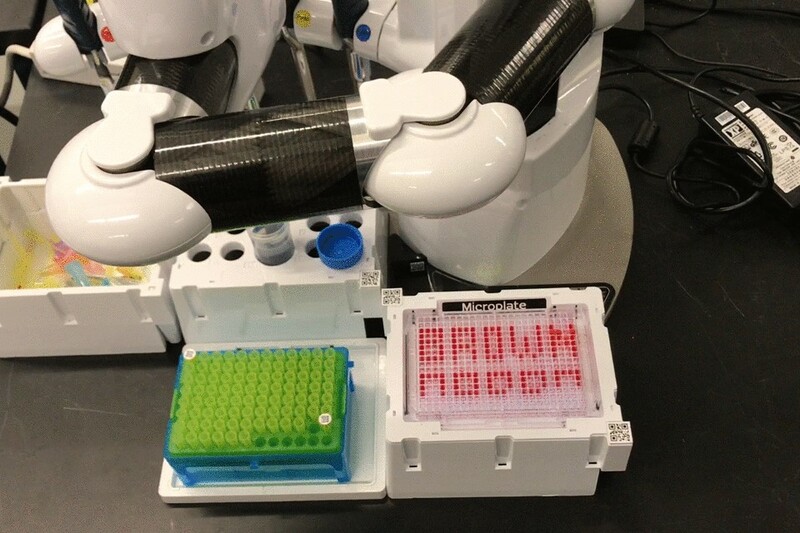 Andrew robot with accompanying pipettes and trays. The Labcyte Echo uses acoustics to transfer nL volumes of liquids among wells with speed and accuracy. Up to 750,000 fluid transfers can be accomplished per day, which allows us to accomplish our Molecular Informatics goals of writing and reading MBs of information in less than 24 hours. The 2.5 nL droplets transferred between 384- or 1536-well plates by the Labcyte Echo. The Echo can also be used to splot MALDI plates for reading of mixtures. Our FT-ICR times how long molecular ions cycle in a magnetic field in order to determine the masses of up to millions of molecules with a resolution of .001 Da all at once. 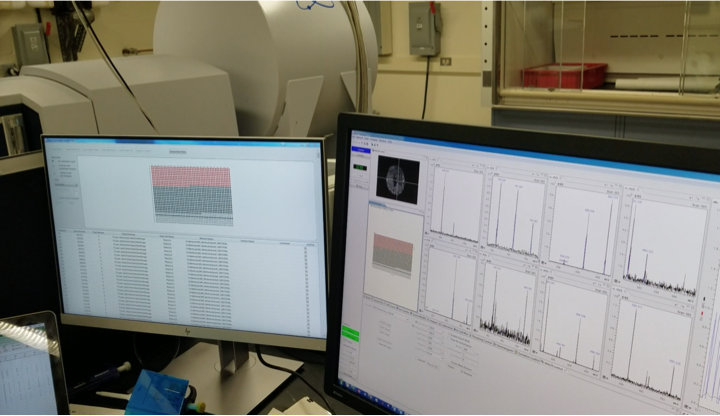 SolariX interface which enables us to rapidly analyze our mass spectrometry data. The SolariX being installed in our DARPA Molecular Informatics laboratory.